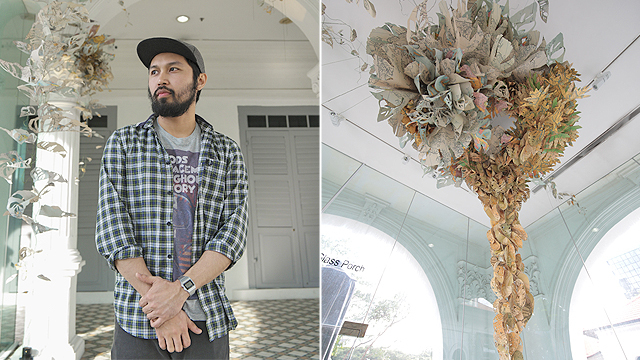 Twenty-nine-year-old Ryan Villamael is participating at Singapore Biennale 2016. (SPOT.ph) Paper cutting is one of the most delicate forms of crafting. You have to think about the thickness of the paper, what kind to use, and how the whole thing will hold up. 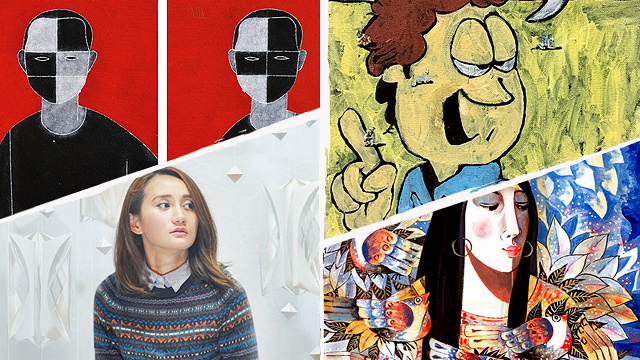 But it seems that this has become second nature to 29-year-old artist Ryan Villamael. 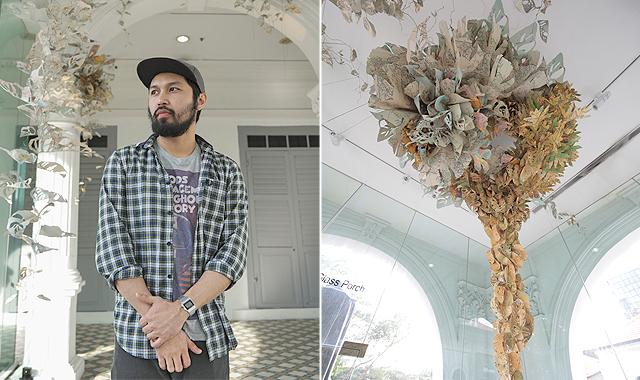 Schooled in the traditional art of painting at the University of the Philippines, Villamael has turned his interest to the contemporary handiwork of doing paper cut-outs. Each of his works is not just any two-dimensional piece but usually a complex construction that is often site-specific and functions as décor. 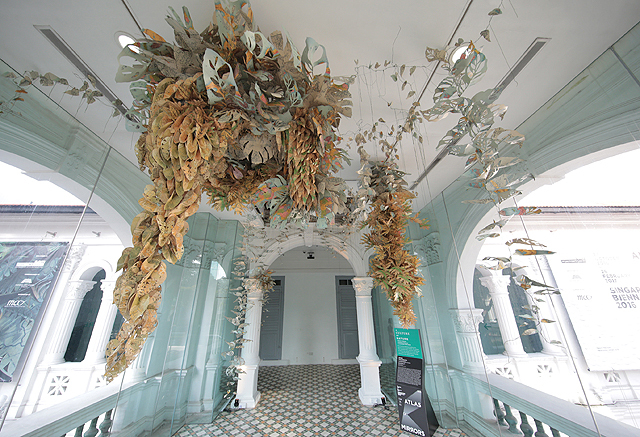 After making waves in Hong Kong, Taiwan, France, and the United Kingdom, he now displays his work at the Singapore Art Museum for Singapore Biennale 2016. Through "Locus Amoenus," which is Latin for "pleasant place," Villamael reflects on the idea of escaping into paradise or an ideal landscape. 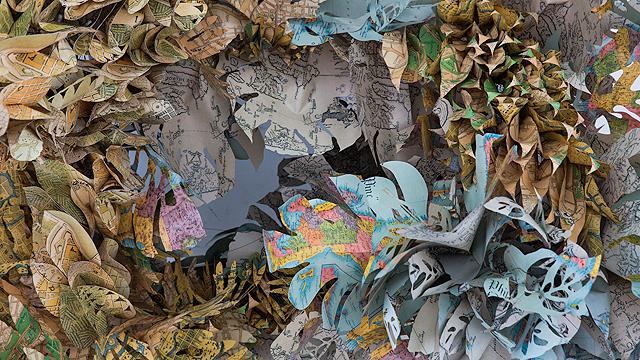 The installation art uses intricate cut-outs from old and contemporary Philippine maps to position the country's tumultuous history under the Spanish colonial rule, one of the longest in Southeast Asia. 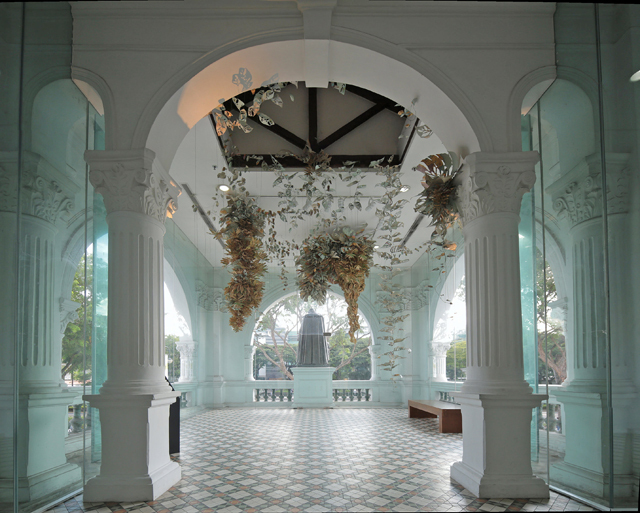 This matches its location at the Singapore Art Museum's corridor where part of the colonial building façade from 1852 is still visible. In an e-mail interview with SPOT.ph, the artist reveals how his personal history makes a large impact on his creative process. I grew up fascinated with history—both our national history and our own personal narratives. Our country’s history is a big inspiration for my work. I did a show called Behold A City that was my way of paying tribute to old, lost Manila. On the other hand, my personal history informs my process. My mother is a scientist so my interest in nature, specimens, and the scientific method comes from that. You could say the intricacy of my handiwork is my way of aping my mother’s preciseness in the laboratory. Meanwhile, my father is an overseas contract worker. He left home when I was young and growing up, looking at maps was my way of connecting with him, of tracing the paths he might have traveled, trying to see the places he may be living in. Describe a regular day when you’re working on a project. It’s always the beginning of a project that’s most challenging for me. I can spend days and weeks just trying to figure out what I want to say. 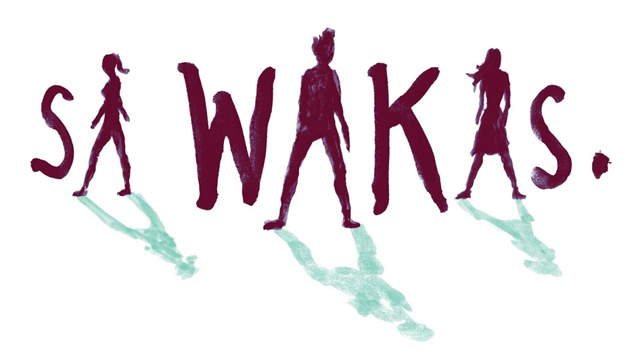 A lot of time is spent staring at a blank page, trying to put together an artist statement. I watch movies and documentaries related to the subject. I frequent libraries to immerse myself on the subject. I talk to people who might have something interesting to say. It’s a lot of painful procrastination.